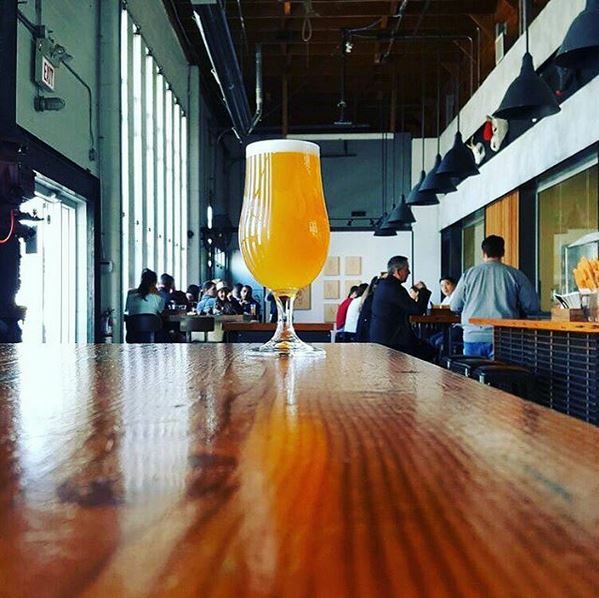 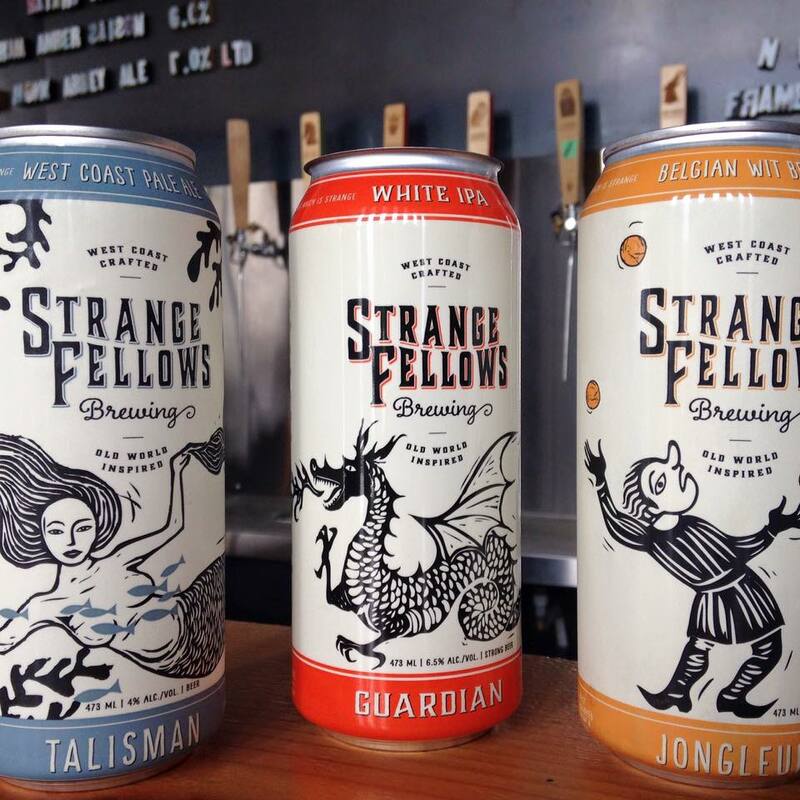 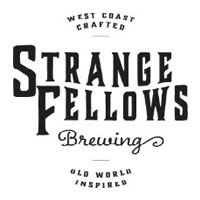 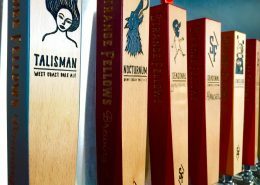 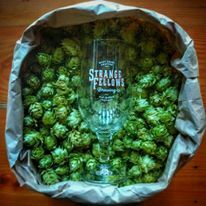 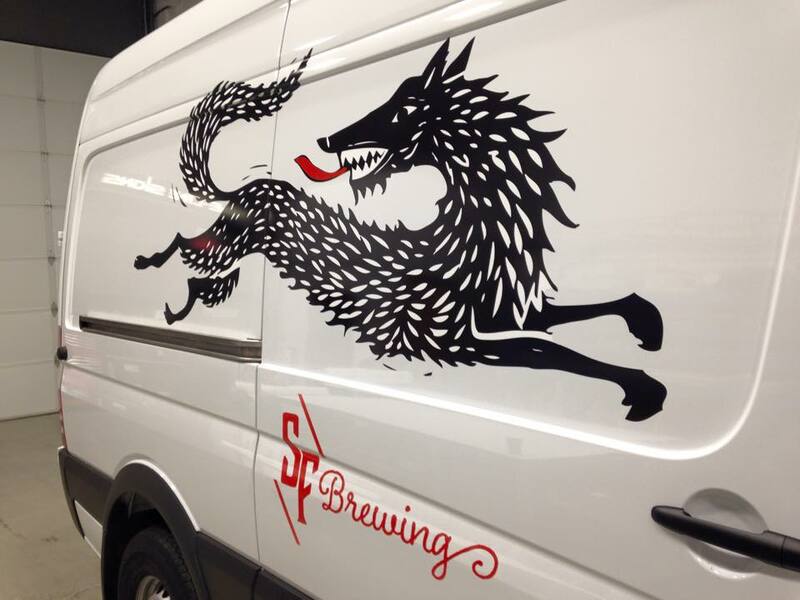 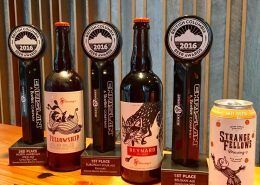 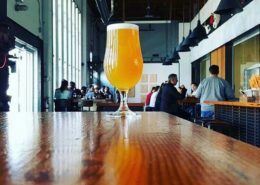 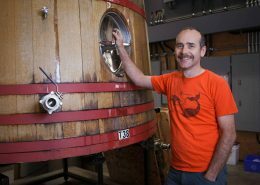 The beers at Strange Fellows Brewing are influenced both by old world traditions and West coast ingenuity, as well as by seasonal ingredients. 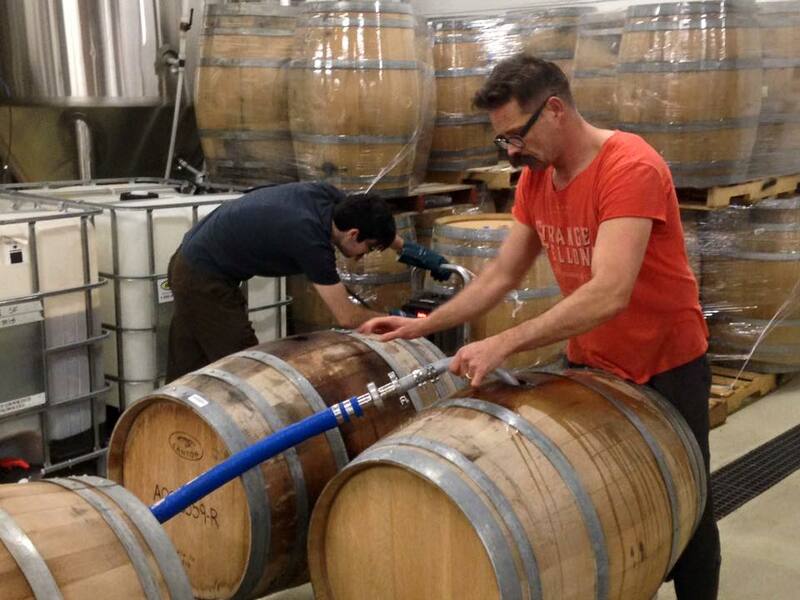 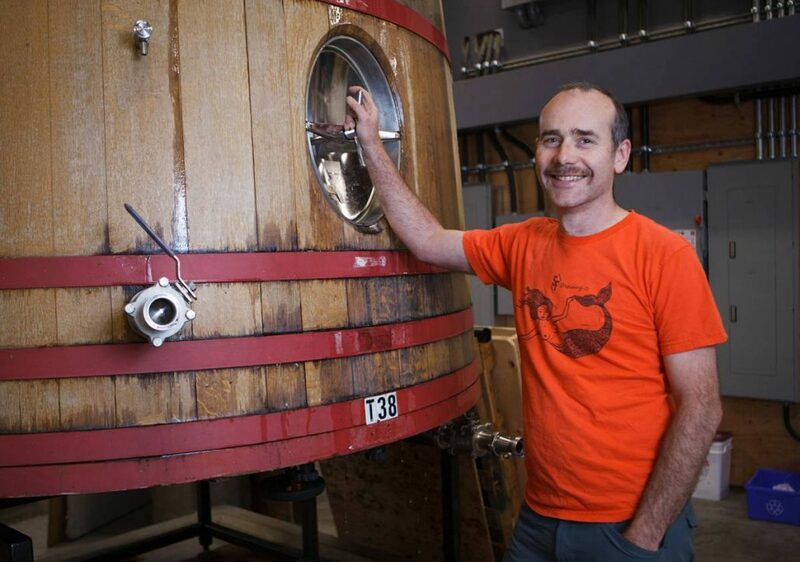 The barrel programme promises unique aged beers as they have a bit of a thing for sour beer. 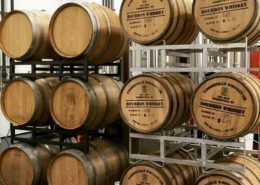 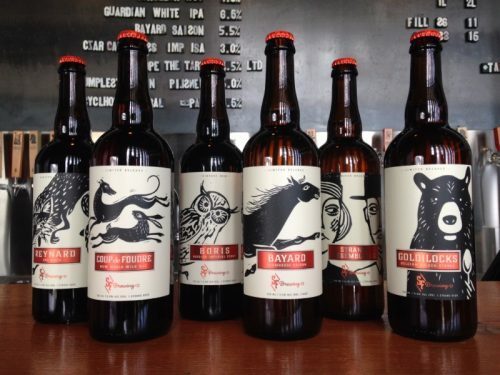 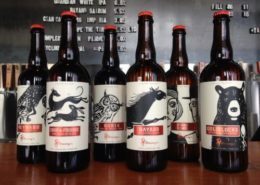 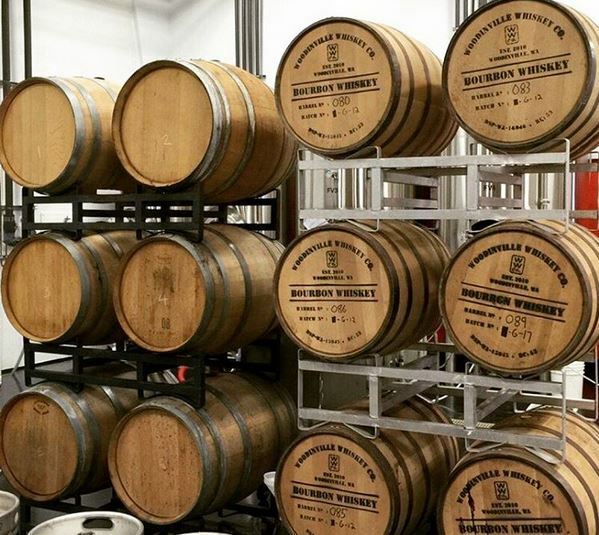 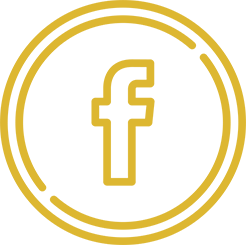 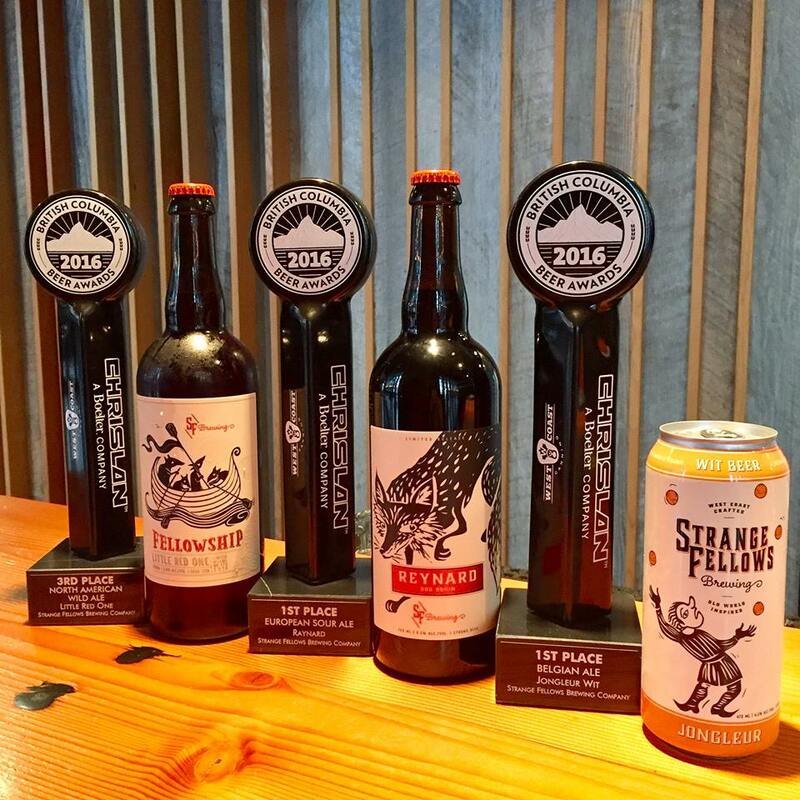 When available, these creations can be found in the tasting room and retail area for sale, as well as at many fine drinking establishments, restaurants, and at private liquor stores around town. 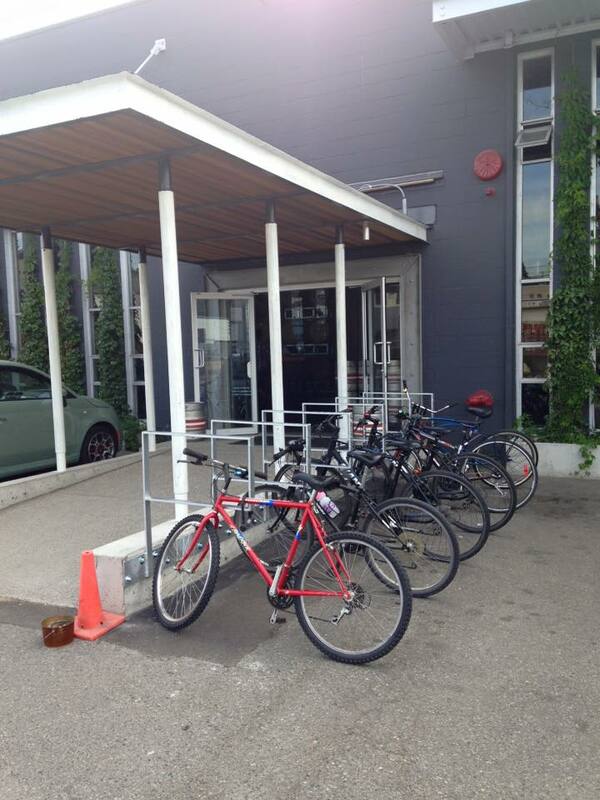 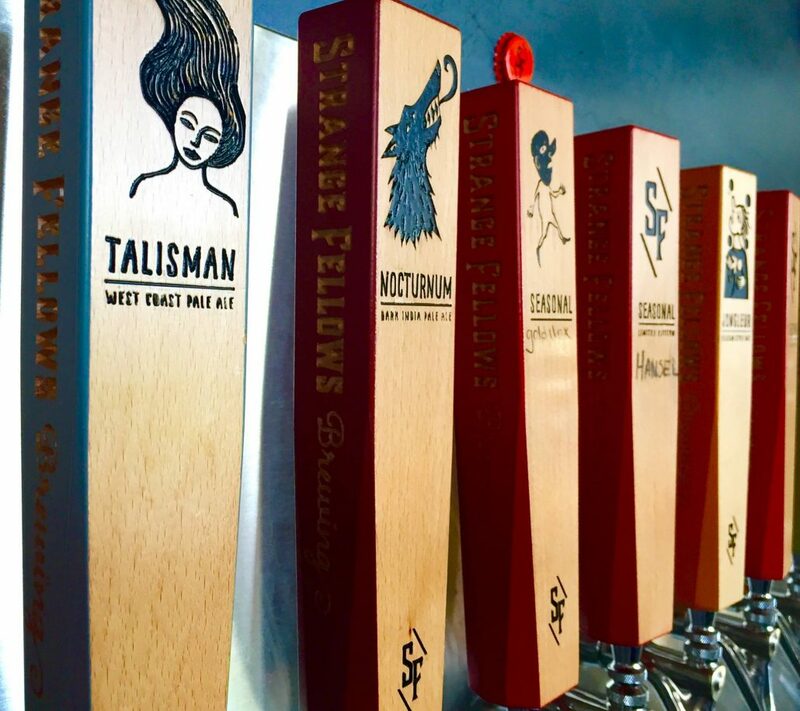 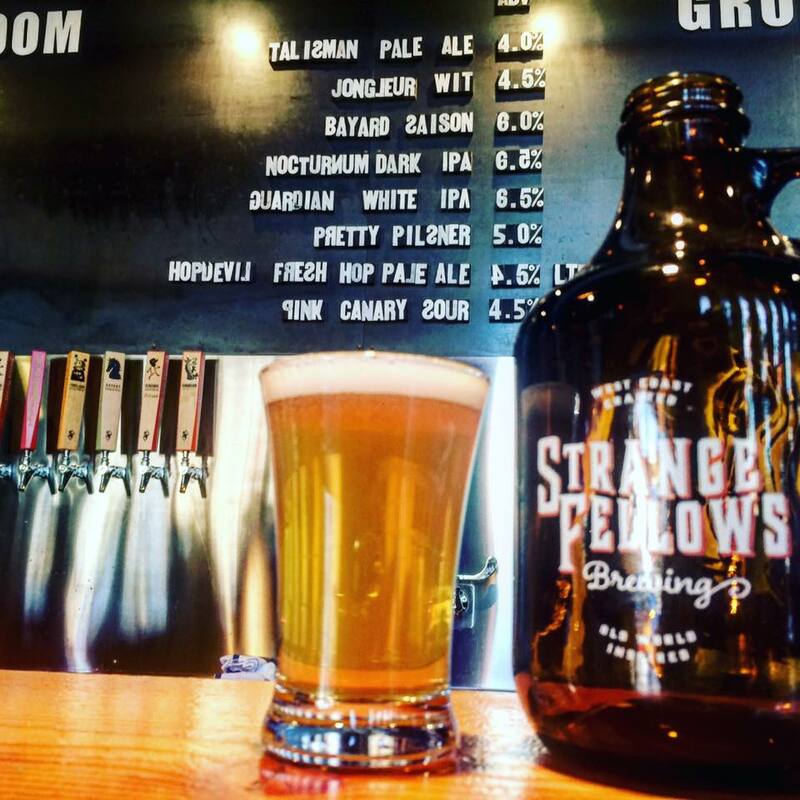 The tasting room and retail areas at Strange Fellows Brewing are open daily for growler fills and gathering with friends, and offers an ever-changing selection of beer as well as tasty locally sourced grub to go with. 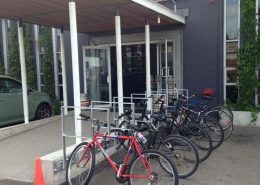 Tucked in alongside the tasting room, you will find the Charles Clark Gallery where artists share their unique visions on a monthly rotating basis. 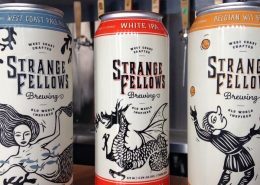 Inspired by obscure superstitions and folklore from around the world, you are invite to celebrate a Strange Day at the brewery. 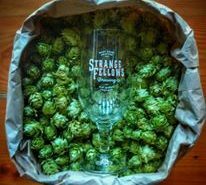 Held on a specific day each month, you will often find the brewery at its strangest and possibly most interesting. 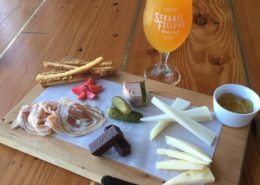 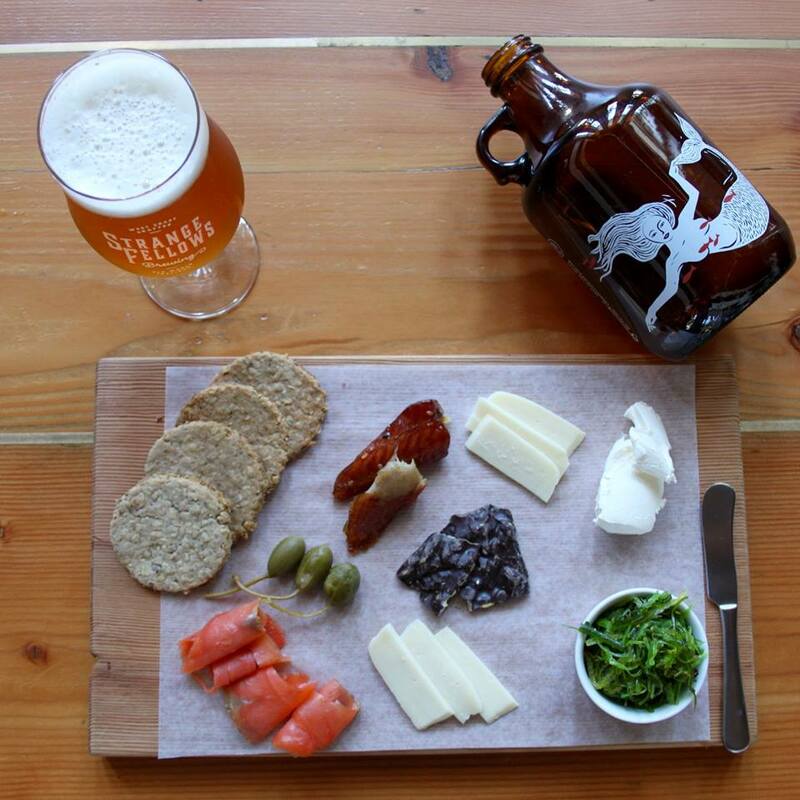 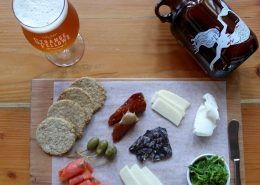 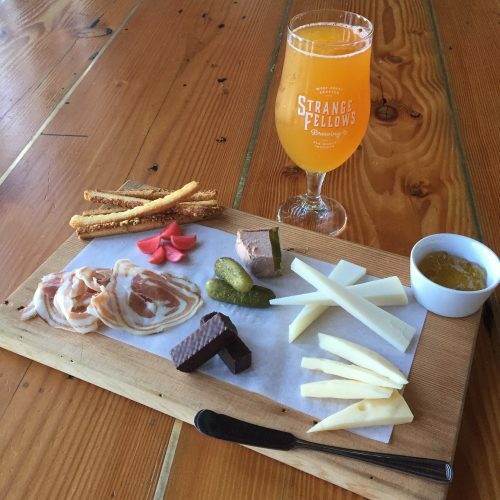 Charcuterie boards, snacks from East Side Beer Food available in the brewery. 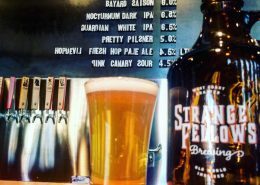 Beer is available for purchase in various growler sizes, 750ml bottles as well as 4 packs of 473ml cans.